Hi! Thanks for the link! Sorry to make you cringe. (I probably should have phrased things differently)! I certainly didn't mean to imply that Pickford is ever boring. She's one of the most fascinating actors I've ever seen. For me, though, it's impossible to watch any film - no matter how fascinating - without sound. (My hat's off to folks who do, though). 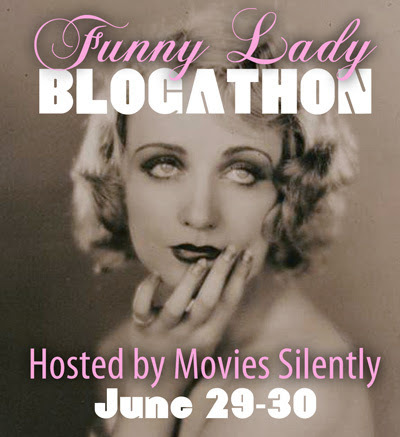 Most of my readers are not silent film viewers, and my goal is to make it more accessible. I enjoyed your link to the Marni Nixon article - she certainly had a fascinating career. One of my professors studied under her. Hey OR--glad to see you here! I actually thought you phrased that perfectly. It's the thought of someone saying that makes me cringe, because I've totally heard it before. 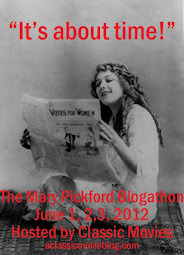 Have you been watching the Pickford movies on Internet Archive? I have finally found a few general pieces of music that work with those. You're right, you definitely need music. They were never meant to be watched totally silent. I love your suggestion that you find a soundtrack that truly suits your personal tastes. That's a great way to make the experience more meaningful. That's so cool that your professor studied with Marni Nixon. If you like her, I highly suggest her autobiography. It was was fascinating to learn about her whole life, but particularly how the film singing worked.